Before starting Cityskin I used to work at a well known cosmetic and laser clinic in Melbourne. I used to love pigmentation treatment and removal with laser – it can improve the appearance of the skin and give a lovely even tone which can leave you looking and feeling refreshed. Australian sun is harsh on the skin and can lead to sun spots and uneven pigmentation. Read below to find out all about different types of pigmentation and how it can be treated. Pigmentation is a common and sometimes distressing problem that affects men and women from in all skin types. Pigmentation can be removed using laser and using topical treatment (creams). I always recommend that you have pigmentation assessed by a Doctor before you considertrying to remove it. What you don’t want to do is to try and remove pigmentation which is actually a skin cancer (melanoma or lentigo maligna). See a Doctor who can use a handheld microscope to look under the top layer of skin for any warning signs. You should never laser moles off. The way to treat moles is to leave them alone if they have no worrying features under the microscope or remove them surgically and send the mole to the lab for analysis. What are sunspots/lentigo? Sun exposure over time can lead to the development of sunspots or ‘lentigo’. Where do sunspots develop? 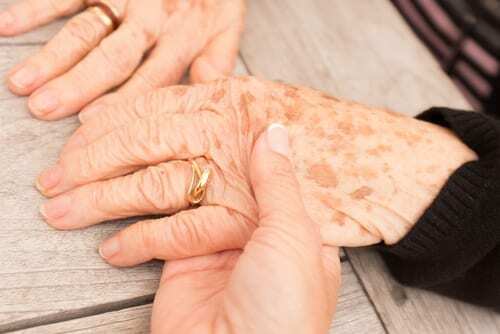 Common places to develop sunspots include the backs of the hands, forearms, chest, neck and face. Sunspots can be prevented by using high factor sunscreen and avoiding the sun. 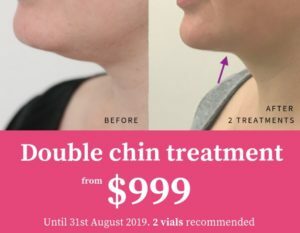 Sunspot / pigmentation removal | Cityskin Melbourne – Sunspots are collections of pigment under the skin and can be removed fairly easily with laser. If you have a pigmented spot which has rapidly grown, itches, has an irregular shape or more than one colour – see your GP or dermatologist to ensure it is not a skin cancer. What is melasma? Melasma is a common pigmentation problem which affects women more than men. Where does melasma commonly appear? 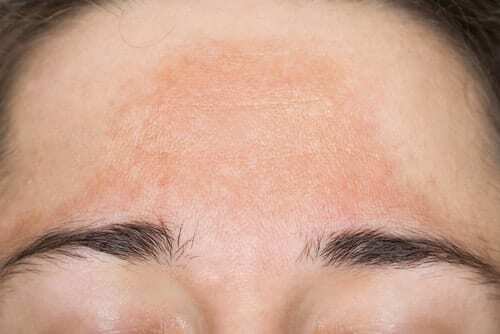 Melasma often appears on the forehead, as in the photo above, on the upper lip (which can give a moustache appearance) and cheeks. Who suffers from Melasma? Melasma often comes on in pregnancy or when on the combined oral contraceptive pill. 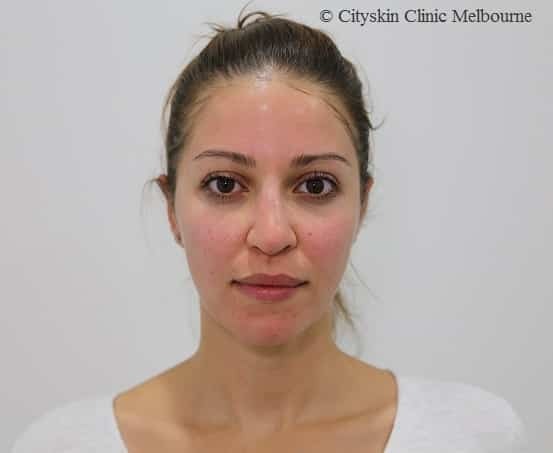 Melasma treatment | Cityskin Melbourne – Melasma loves the sun and will easily turn darker with sunlight exposure. It is best treated with skin lightening cream, can be treated with laser and we always recommend using high factor sunscreen (factor 50) to try and prevent it becoming darker. What are freckles? – Freckles are small collections of pigment just under the skin and commonly appear on the face. 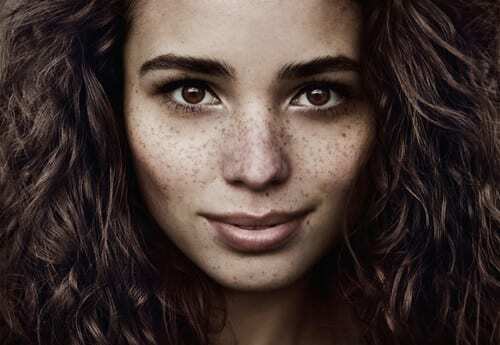 Freckle treatment | Cityskin Melbourne – Freckles can be removed with laser but often they are best left alone as most patients are not bothered by them. My favourite laser for removing pigmentation is Medlite C6. It is a ‘Q-switch’ laser and emits light energy to break down pigmentation. To remove pigment using the laser we select a wavelength of light – either 532nm (nanometres) or 1064 nm and aim this laser light at the pigment. The pigment absorbs the light, heats up and is broken down. The body removes this broken down pigment via the lympatic system. Who can have laser treatment? Does laser suit every skin type? The darker your skin the more difficult it is to remove pigment. We assess the darkness of skin using the Fitzpatrick scale (shown below). Have a look at the scale and work out which Fitzpatrick type you are. When the laser is aimed at the skin the light energy is attracted to pigment. If the pigment that you are treating is almost the same colour as the surrounding skin the laser break down both the skin pigment and the pigment of the lesion being treated. If you have very pale skin and a dark pigmented lesion then the laser will be attracted to the dark pigmented lesion and not the nearby skin. As a rule of thumb – we have to be very cautious with treating Fitzpatrick type 4 and above (olive/moderate brown skin). What are the risks of laser pigmentation treatment? Affecting the nearby skin causing loss of pigment near the lesion. This risk increases with darker skin types. Does laser treatment cause skin cancer? No – there is no evidence to suggest that lasers such as Medlite cause skin cancers or any other form of cancer in the range of light that is being emitted. What does it look like after laser pigmentation treatment? The photo below shows a patient who has had the full face treated with Medlite laser at Bare Laser and Skin in Hampton.The whole face was treated on a fairly low setting as the patient has Fitzpatrick type 3 skin (medium white to olive). This redness lasts for a few hours before settling. It can feel warm for a few hours. About 5 days after treatment, some of treated pigmentation areas can go slightly dark, looking like a faint sprinkle of Milo on the skin. This resolves over the next few days. How many laser treatments will I need to remove pigmentation? Often when treating freckles and multiple sun spots we recommend 5-6 gentle treatments approximately 4-6 weeks apart. There should be almost no downtime after each treatment – the face will look slightly red for a couple of hours after each treatment, similar to the photo above. If you have just one spot that needs treating we can increase the energy of the laser and potentially remove the pigmentation in one treatment. The area treated may be red and inflamed for up to 2 weeks after this more intense treatment. Melasma, the hormonal pigmentation, often requires a gentle laser energy and you may need to use a lightening cream called hydroquinone. Please note that hydroquinone is not safe in pregnancy or when breastfeeding. Scroll to the top of the page and fill in your name and phone number and a member of staff from Bare Laser and Skin will give you a call to discuss pigmentation treatment.